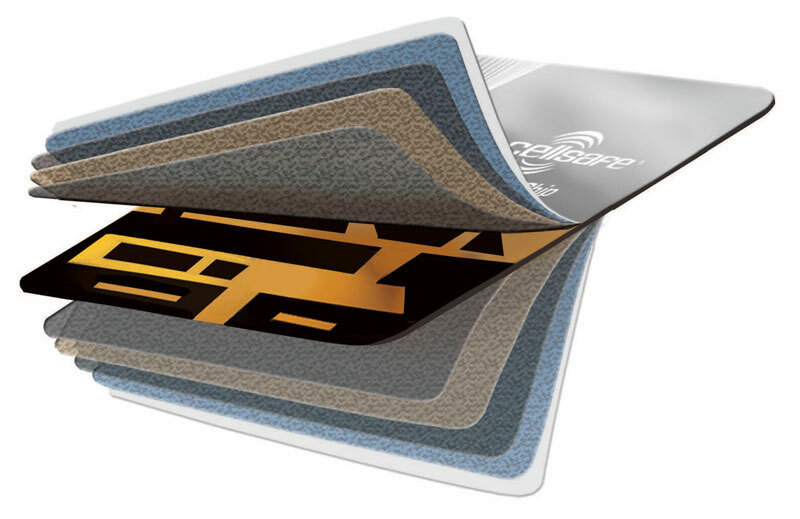 The Cellsafe(r) Radi Chip(tm) patent pending technology consists of multiple layers of specially formulated microwave absorbing materials, combined with a specially engineered passive directional RF coupler. These layers absorb most of the transmitted RF signal from the mobile phones antenna while the PCB Chip controls and disperses the signal towards the back of the phone. Devices which claim to act as ‘shields’ may significantly interfere with the normal operation of the phone. Reduced or redirected transmission levels caused by such shielding products can interfere with call reception and quality and may also cause calls to drop out. The Radi Chip technology has been scientifically tested and proven not to interfere with the transmission signal or with call reception, unlike these ‘shielding’ devices. Whilst the NEW Universal Radi-Chip is designed to suit most new Android Smart phones, correct placement of the chip is essential in order for it to perform as it was designed to. Unfortunately the design of some models of phones do not allow the chip to be placed in its most effective location (ie: rear speaker positioning and sliding phone designs) . If you are unsure if the Radi-Chip can be correctly applied to your particular model of phone, please e-mail us and we will be happy to advise you. Sporton SAR Test Report for Samsung S7, S7 Edge, S8, S8+, Oppo & Huawei.